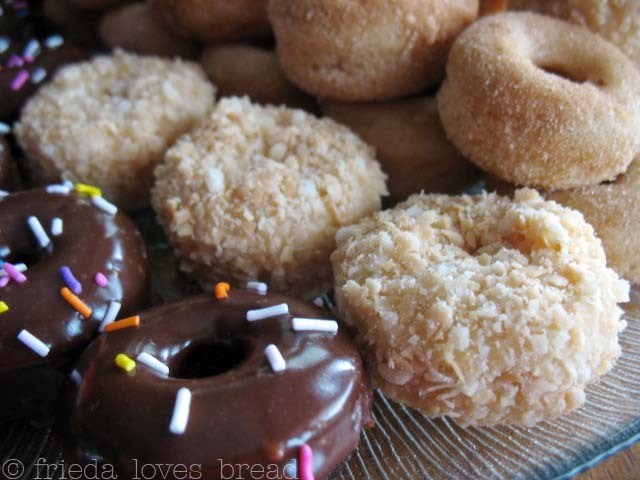 Yeasted or baked doughnuts ~ love 'em both! Me? 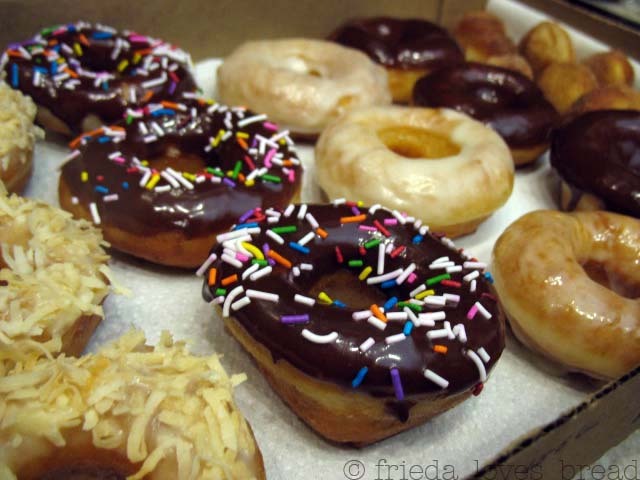 I'm going on a doughnut run ~ with my mixer, doughnut cutter and doughnut pan. 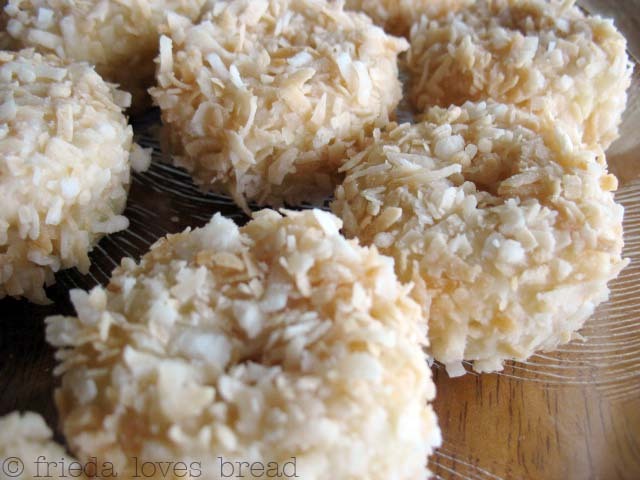 Are those coconut donuts similar to hostess crumb donuts? They are calling my name for SURE. Yes they are! They're lighter in color and taste way better. 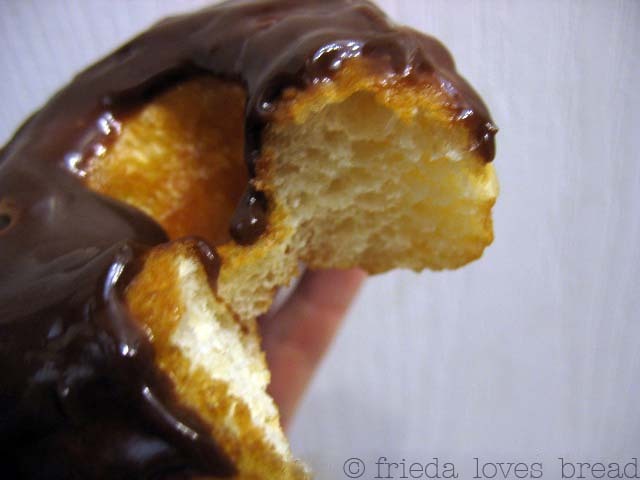 This is the only way to have a crunch dougnut! 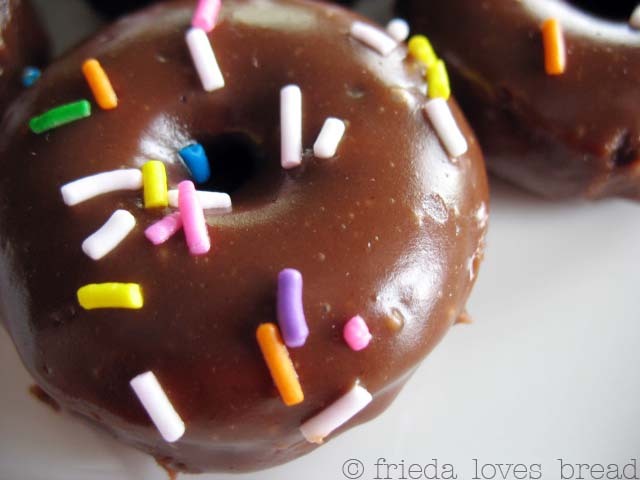 OMG Frieda..I was already going to break out the pans for baked cake donuts ...great minds sweetie...great minds . Love a chocolate cake donut and a pumpkin spice cake donut, but I cannot eat just one so I try to resist the tempation at all costs. I swear my husband is the love child of a cop...he loves donuts! Thanks for the great pics! Yes, Aunty Pol..great minds think alike! Carolinaheartstrings: A pumpkin or apple spice baked doughnut is next on my list! No Raisins: better break out that doughnut pan PDQ! You will love it! p.s. Thanks SOOOOO Much for coming last night! You are the sweetest! by the way-saw your comment on smoking in SE - love jalapeno poppers-we halve/cream cheese/batter/deep fry. However lucky enough to be out of city we'd follow your lead w/ bacon etc. oh my gosh! I am drooling! THese look so tasty! I happened to stumble across your blog and I LOVE it! I love making new blog friends! I am your newest follower and would love it if you would check out my blog and follow me too! Thanks! still can't believe i missed it. it was egg day too! i ate sushi and frozen yogurt. I like Krispy Kreme donuts, plain glazed, and raspberry filled. The others are just too sweet. But my family is different - they love any kind of donut there is! Your photos are truly dangerous!